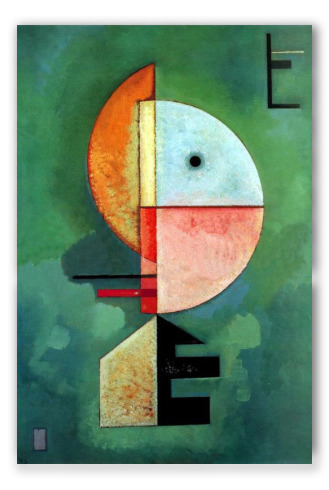 "Upwards" by Kandinsky, Oil Painting Reproduction. 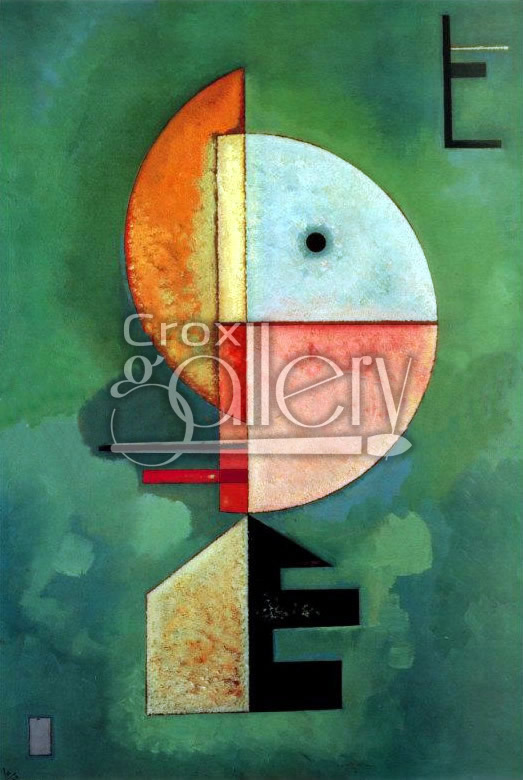 Kandinsky's work entitled Upwards was made up of geometric shapes on a background of pretty bluish-green shades. It tries to give the impression of something dazzling, as a rising figure.